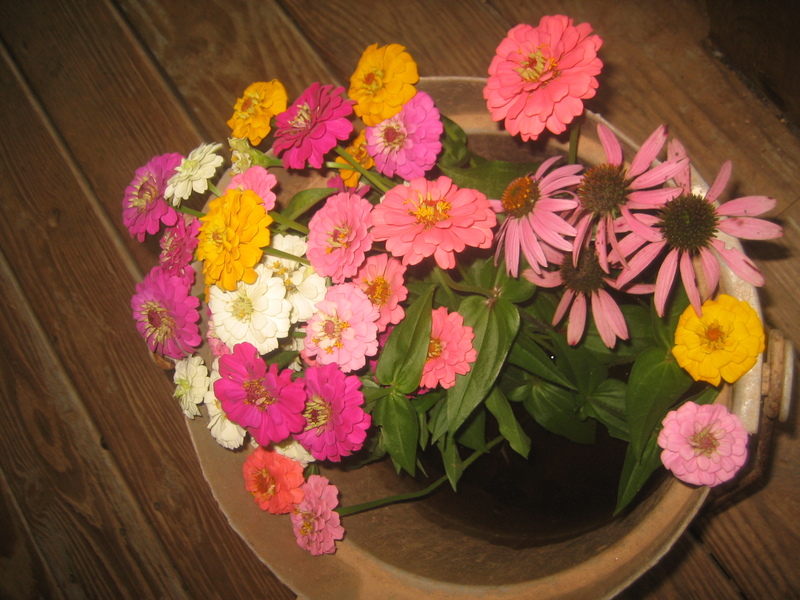 Okay, it’s a bit of an exaggeration, but that is how I love zinnias: truly, madly, deeply. Such a prolific, vibrant, colorful, reliable flower. 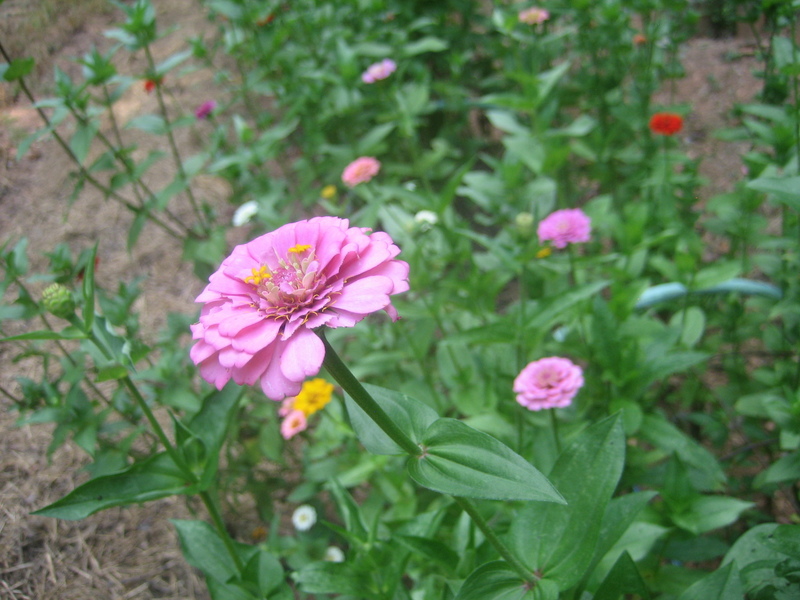 Working among my zinnias always reminds me of a workshop I attended at an organic farming conference years ago. The man presenting was a successful flower farmer. A large part of his workshop consisted of bad-mouthing zinnias — too pedestrian, he said, too common, too easy and obvious. What? 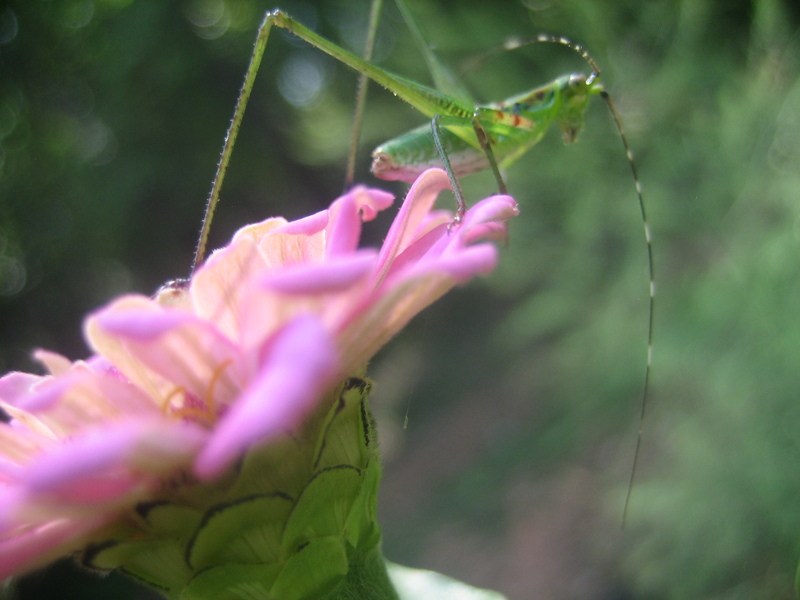 They are flowers, buddy. But his message was repeated ad nauseam, and I internalized it, and I so often feel a little cheesy for loving and growing zinnias. But, how could you not love ’em? Well, with the wonderful new air of acceptance and tolerance in our beloved U.S. culture, I am not going to be ashamed anymore. I love zinnias, and I don’t care who knows it. Oh, hello! Do you like zinnias, too? 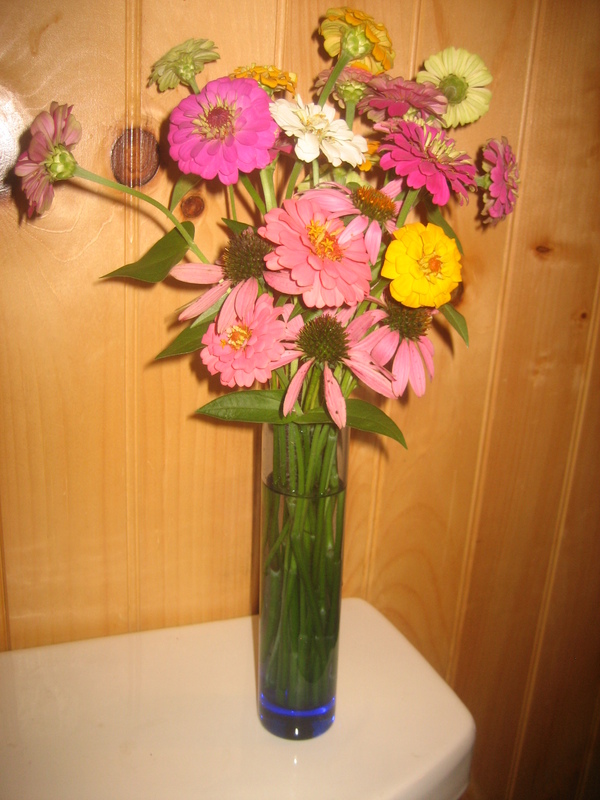 Cut flowers in the morning (best) or evening, when it’s cool. In the morning, plants have more water in them; in the evening, they have more sugar. Either way, they’ll hold up better. As you cut stems and strip leaves, hold each stem upside down; then periodically trim a handful of stems to equal length and put them in a bucket of water when your hand has reached maximum capacity. 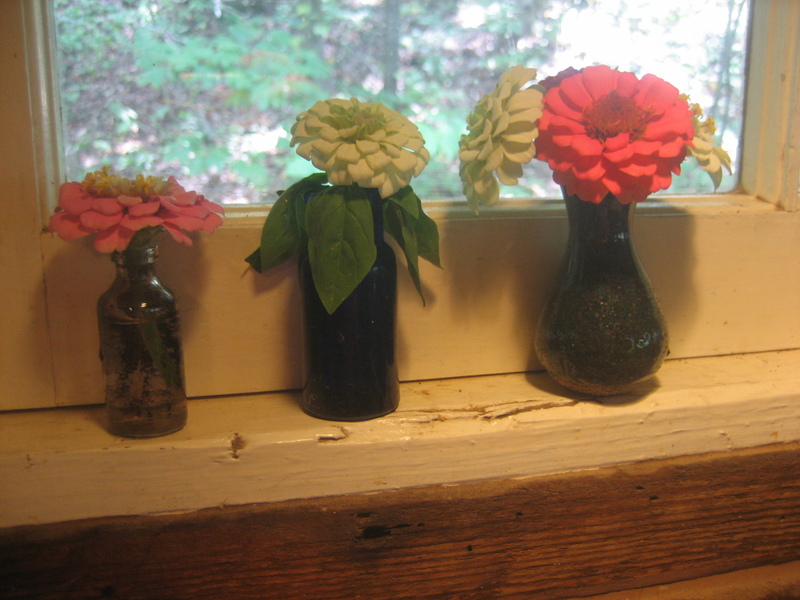 Small, sweet and simple — my favorite way to display zinnias. Most people like a mix of different flowers, rather than a bouquet made up of one or two varieties. One big showy blossom can make the whole arrangement. A showy focal flower should be low and in the front of the arrangement for greatest pop. First put greenery in whatever vessel will hold the arrangement, then place the flowers as you like. If you’re not using additional greenery, gather a big bunch of flower stems and place them in the vessel all at once, then edit: rearrange, remove, trim, or add more stems as you like to achieve a nice look. Placing the stems in one by one from the beginning never works well for me. I hope your flower beds and arrangements bring you as much happiness as mine bring to me!